Good morning and happy Sunday Fun Day with the family! It has been way to long since I have posted on here. Life and work seem to have a way of happening like that. I took some much needed time to crop this last week at a retreat in Central Arkansas at the lovely Budd Creek Church camp. They kindly allow us to use their facilities in the off season for scrapbooking retreats. We had scrappy friends from as far as Jacksonville Florida and Las Vegas Nevada. It was an amazing time with friends to learn new techniques. I had a chance to play with some stamps I had never inked up and I fell in LOVE with the Rooted in Nature stamp set by Stampin Up. The images are so calm and serene and relaxing. I love that they can be overtly masculine or soft and feminine and they come with the matching dies available. Such a simple and uplifting card. Take a few moments out of your day and send a word of encouragement to someone. 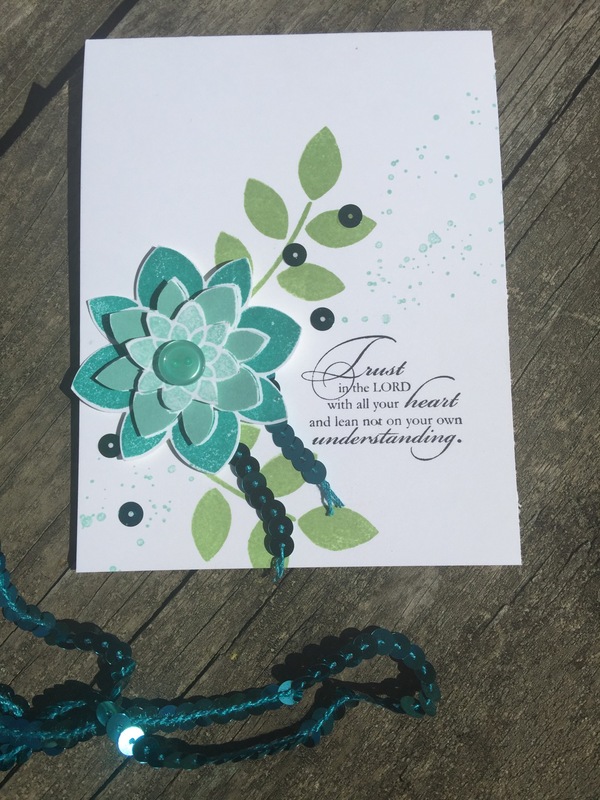 I used Soft Suede, Pool Party, Mint Macaron and Bermuda Bay for this simple card you can make up in minutes. Take a bit of time away from a hectic day. RELAX and sit down for some crafting therapy. It takes mere moments to make this card and you will be thankful you did. I spent some wonderful days with good friends even if it did rain all week! I’m back after a long hiatus and can’t wait to get back into the swing of things in the blogging world. I live in rural Arkansas and have been having lots of trouble with our ISP and that makes it hard to blog with no ISP and spotty cell service. I guess that’s the price I pay to get away from the rat race. I hope you enjoyed today’s trio and thanks for looking. Today’s card was inspired by my love for the beach. It has a whisper white cardstock base with Pool Party blue matting and ink. I used my Aqua Painters to get a watercolor effect. The stamps are all from the Stampin Up Wetlands set which happens to be a favorite of mine. This set has been around for awhile but is still in the annual catalog and gets inked up a lot. 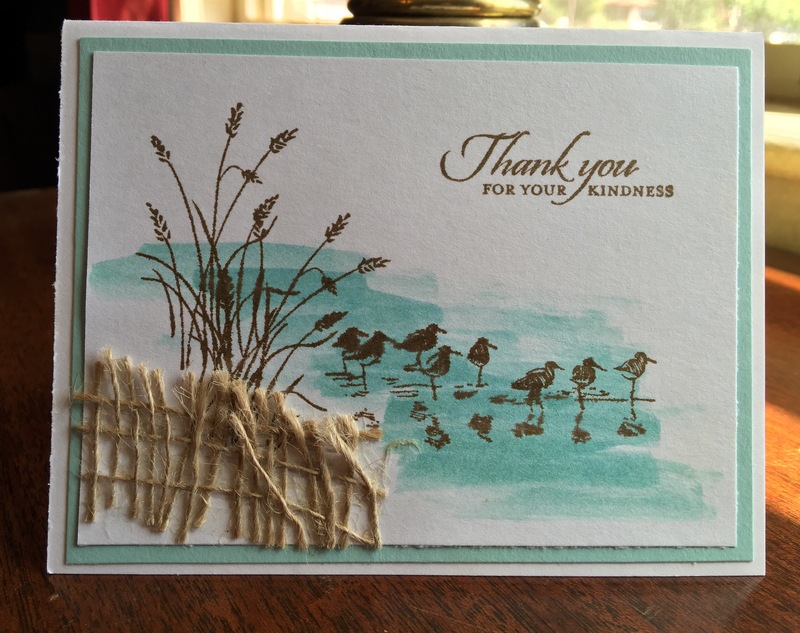 The fence is my favorite part of this card and it is a piece of rough burlap that I pulled threads to get that effect. 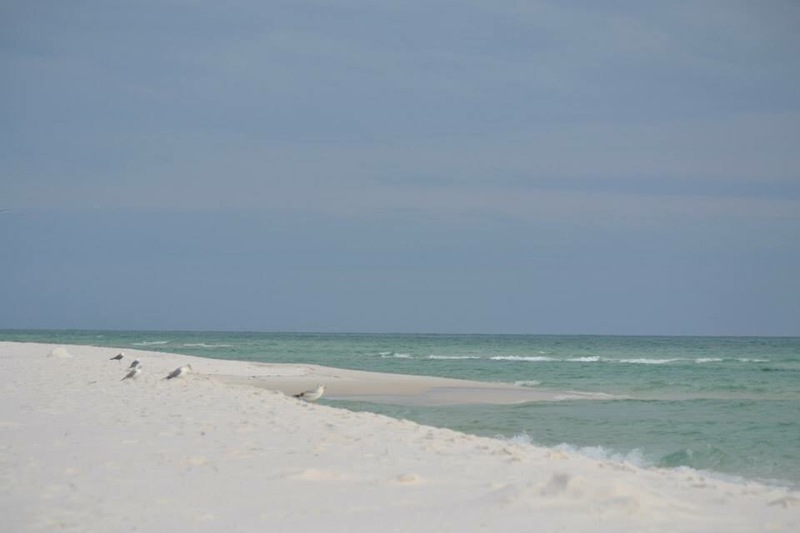 The sand pipers are just darling and make me want to make a quick trip to the beach this weekend. There is not much better than sitting on the beach all day with my family along with my best friend and her children. We make an annual trip to the beach with several families and it is something I look forward to every year. 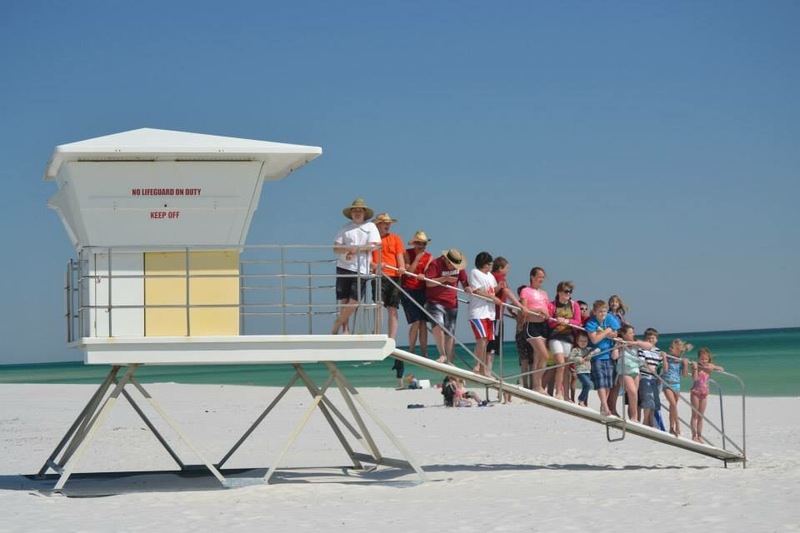 Someone actually asked me if we gathered up all the kids on the beach and took this picture and I laughed and said “no”. This happens to be all friends and family. Good afternoon everyone! This is blog post number five and I’m still figuring out my online voice. I wanted to post a really interesting patina technique today that I found online and changed up a little. I searched for about an hour this morning and could not find the original link. If I stumble across it later I will post. Cut an 8.5 x 11 inch sheet of Delightful Dijon card stock in half lengthwise at 4.25 inches. Fold in half to form your card base. Cut a pice of Crumb Cake card stock to 4 inches by 5.25 inches. Place in the new Boho Chic embossing folder and run through the Big Shot. Sponge island indigo ink onto the embossed piece in random areas. Blend well and then do the same with Cajun Craze and Always Artichoke ink. 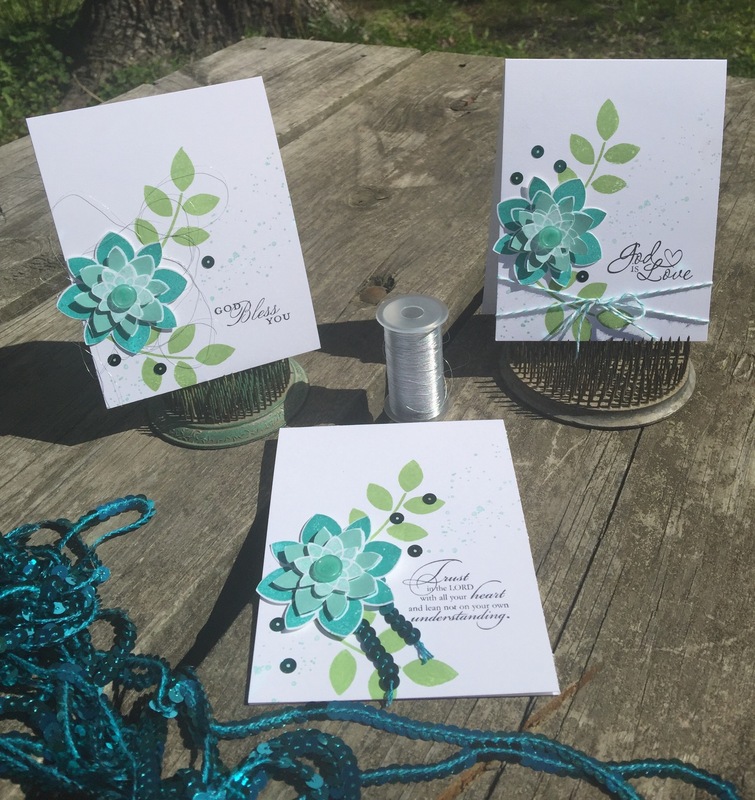 Use the splatter stamps from the Gorgeous Grunge stamp set and stamp the edges of the embossed piece with Versamark. Sprinkle the Versamark with Gold embossing powder and tap off the excess. 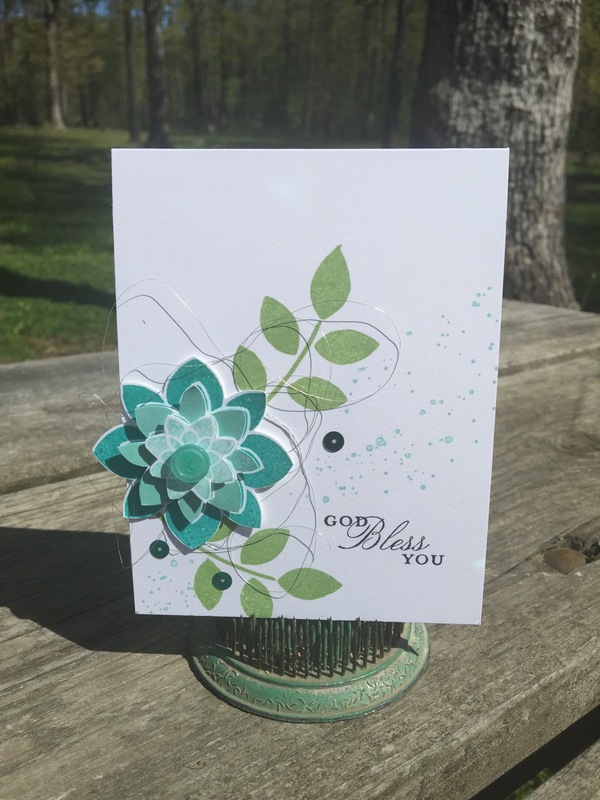 Heat the embossing powder with an embossing gun until it shines. Adhere the embossed piece to the card base. Cut an oval out of Whisper White card stock and an oval matt out of Soft Suede card stock. Stamp the fox from The Wilderness Awaits stamp set on the white oval using Chocolate Chip ink. Fill a Aqua Pen with rubbing alcohol. Take your Cajun Craze ink pad squish it to get some ink on the inside of the lid. Use the Aqua Pen to pick up ink and color the fox adding shadows and highlights where needed. Do the same with Always Artichoke ink to color the grass. I used a tiny bit of Chocalate chip ink on the foxs eyes. Use a sponge to lightly sponge the edges of the white oval with Pool Party ink. 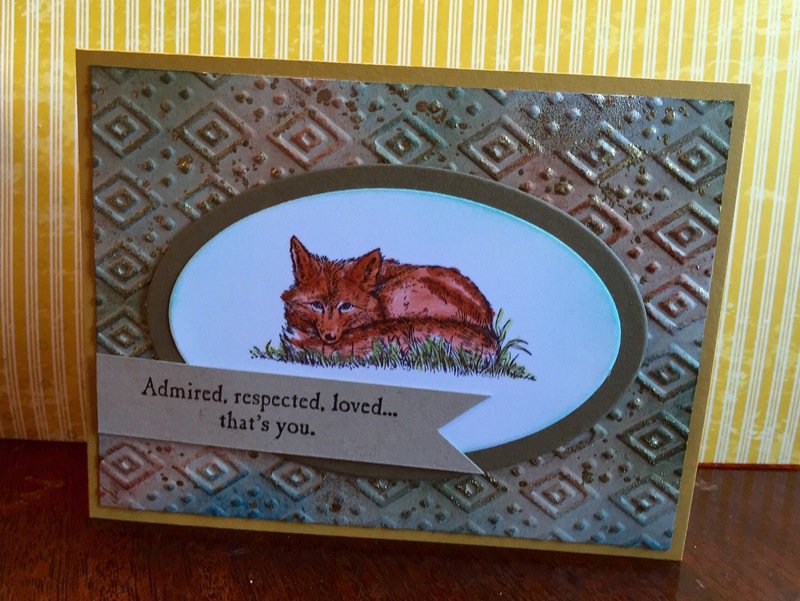 Adhere the fox to the Soft Suede oval and center and adhere to your card front. Stamp the sentiment from The Wilderness Awaits on a scrap piece of soft suede card stock and cut into a pennant. Adhere to the bottom left of the ovals as shown. This was a beautiful technique for my card classes. I hope you enjoy it as much as I did.